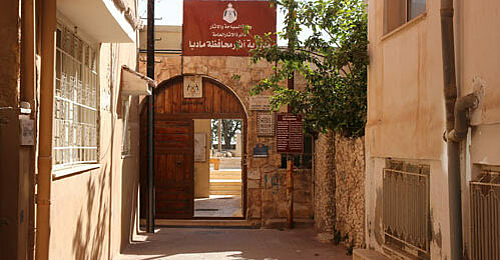 In 1902, Don Giuseppe Manfredi, the parish priest of the Latin community, discovered this church southeast of the historic center of Madaba, next to the Kings Highway. 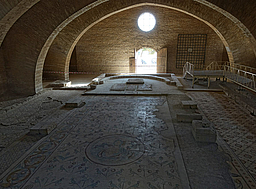 A mosaic inscription (later destroyed) indicated the name of the church and 578 as the year of the completion. 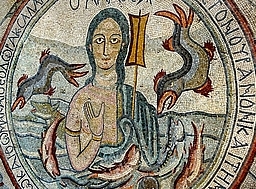 Manfredi also found the famous medallion with a personification of the Sea in the center of the nave. 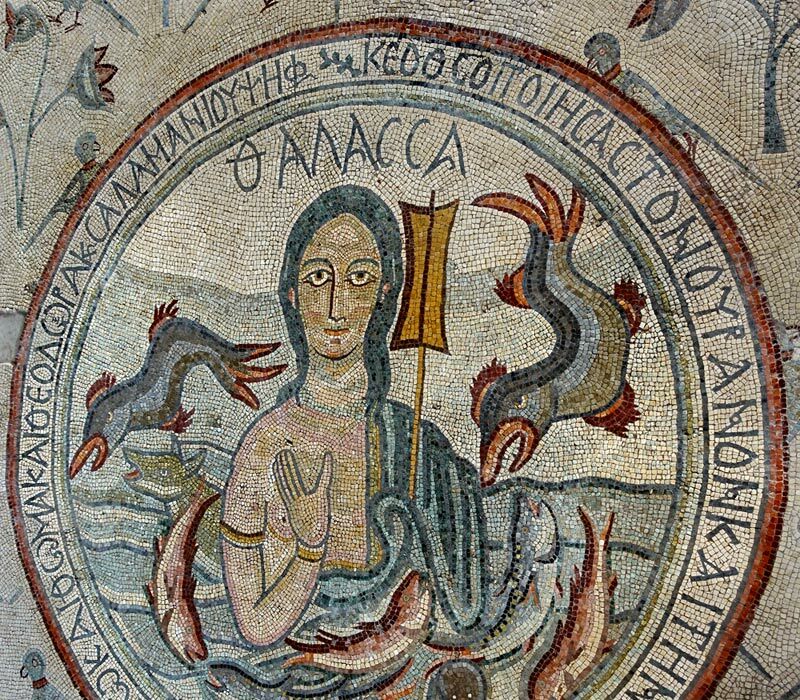 Its inscription gives the name of the mosaicist: “O Lord God who has made the heavens and the earth, give life to Anastasius, to Thomas and Theodora. 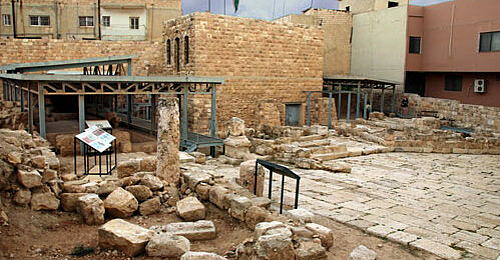 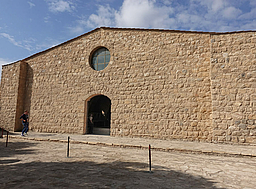 [This is the work] of Salaman the mosaicist.” Systematic excavations were conducted at the church by the German Evangelical Institute in 1967. 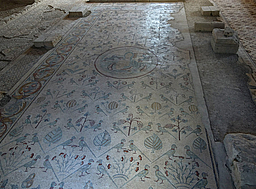 The mosaic floor of the Church of the Apostles is well preserved and was not disfigured by iconoclasts. 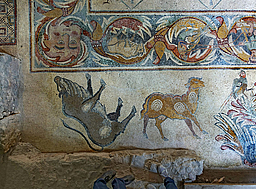 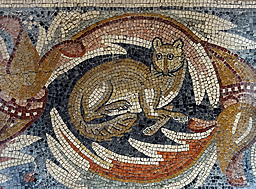 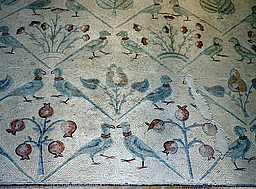 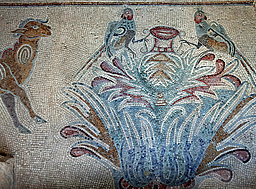 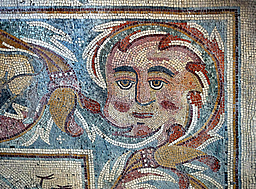 It is one of the most beautiful and interesting mosaics in Madaba. 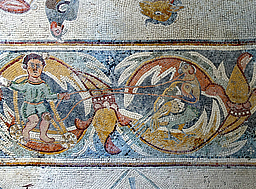 More information in our photo tour.